Two trips back to back is a rare treat and something to be relished. With the other half away on business and me doing the school run the opportunity was too good to miss. This would be trip number five to the ‘usual’ lake where I have yet to catch but hopes remain high and I will crack this lake and its inhabitants. With only a few hours on each day (9am – 2pm) the kit and bait was prepped and ready to go. My favored swim was available, wraps known and quick as a flash the rigs were out and boilies peppered the water – Dynamite Tigernut Red Amo, but with my edge form Target Practice – tuna! Within an hour I had a tentative take on the right hand rod but lifted into nothing, as has been the case before. The carp are pressured here and crafty buggers. Then a long slow drop back on the left rod, which I was fishing heli style. I lifted the rod and quickly realised the fish was swimming towards me. Then contact and the rod took on an aggressive bend. One big knock and a swirl of water made me loosen the clutch and reach for the landing net. diaister changing the angle of the line and pop – the hook was out and I was left cursing my luck. Back out went the rods and I topped up the swim with bait but the rest of the afternoon was quite. Soon it was time to collect the kids but I would be back the following day confident on location, bait and rig. The following morning I was back at the lake but “my” swim was taken and at the time of arriving I was roped into helping a fella photograph a 26lb plump mirror. Not that I minded as this was the biggest carp I had come up close and personal with! With “my” swim already occupied I dropped in to no.10, as during the previous day the angler here had two high doubles and told be the spot was seven wraps out front. And with a recent Carpology post in mind – ‘How should you approach the last swim available on a busy venue this summer’ . I quickly spombed out a small amount of mixed boilies and particles and had the rigs out a moment later. One a wafter and the other a pop-up, and the same colour. It was now 10am, and from what I have seen and heard on previous visits bite time would be from now until 1ish. The minutes and hours ticked by, liners came and went, something topped over the left spot, but nothing firm. No full on bites, it felt as though they, the carp, were getting away with it and the session ended with another blank. As I packed away and chatting to the bailiff, according to him the spot was good, the lead 3oz was fine, the hook link length good and the bait got the nob of approval. The only suggestion he had was shorted the hair. Could this be the last part of the puzzle on this water? 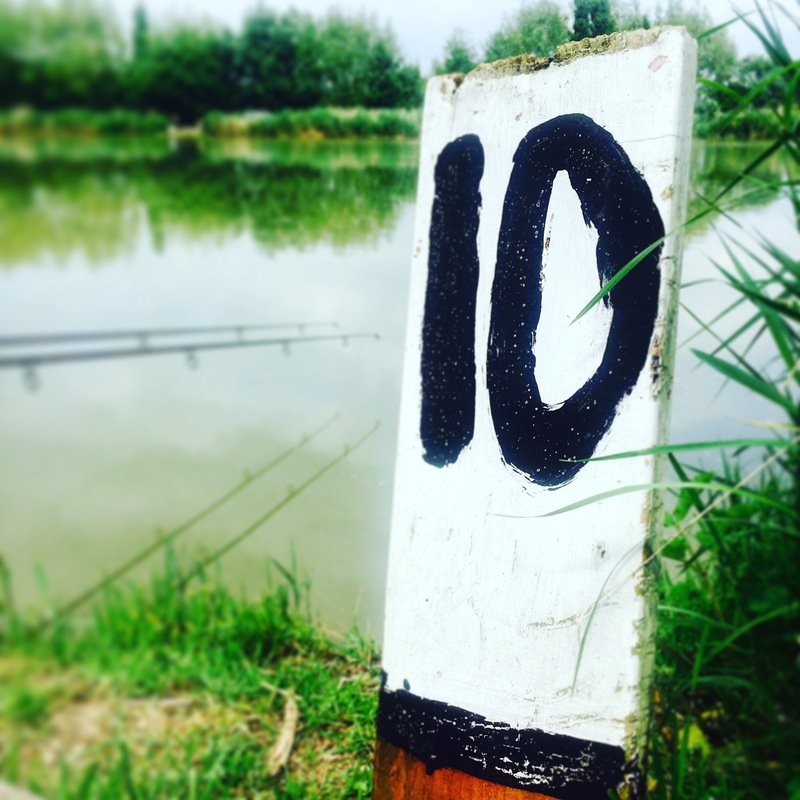 I can now see why carpers develop an OCD (obsessive carpy disorder) because I am now determined to get back to the lake and nail a fish – a big one too! Tightlines – not frown lines!